BT has joined the Telecom Infra Project (TIP) and is partnering with Facebook to accelerate research into disruptive telecoms technologies. TIP is a global initiative that aims to transform the traditional approach to building and deploying telecoms network infrastructure. As part of the initiative, BT, Facebook and TIP will work together in locations such as the BT Labs at Adastral Park - BT’s global research HQ - and London’s Tech City. The project will enable selected telecoms infrastructure startups to engage directly with leading experts from BT, the TIP community and Facebook, drawing upon BT’s extensive research and innovation capabilities, experience and global network. 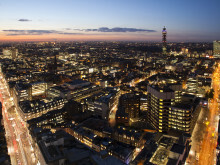 This initiative will aid the UK’s expanding community of innovators, by providing a support framework to help connect them to investment partners and to market and launch new products and services. They’ll tackle shared challenges such as how to connect remote communities, how to enhance people’s lives through innovation in communications technology, and how to better manage the unprecedented growth of network traffic. TIP will create a network of start-up acceleration centres, in collaboration with major operators around the world. 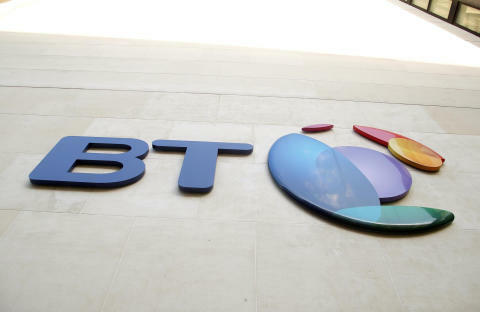 BT has agreed to host the first such centre in Europe. This UK acceleration centre joins a similar facility in South Korea, sponsored by SK Telecom, as part of a growing network that will strengthen collaboration and accelerate adoption of key technologies. “We’re excited to work with BT to launch TIP’s newest Ecosystem Acceleration Centers in the UK,” said Dr. Alex Jinsung Choi, TIP Chairman and CTO of SK Telecom. “We started these centers because we believe that we need to find ways to attract the brightest entrepreneurs and most innovative investors to work together as part of the TIP community. This center will help us achieve our goal of creating an ecosystem that delivers new, agile and deployable infrastructure solutions to operators quickly and seamlessly. The initial focus of the UK acceleration centre will be in the areas of Quantum Computing (applied to networks) and mission-critical communications where the UK government, academia and the telecommunications industry all have important roles to play in pioneering new technologies and applications. Further areas of focus will be chosen next year. Through this initiative BT and TIP will identify, support and mentor the most promising and innovative start-ups emerging in the UK technology and telecoms sector. TIP, co-founded in February 2016 by Facebook, Deutsche Telekom, SK Telecom, EE, Nokia and Intel, (and since joined by over 450 other organisations) is an engineering-focused initiative driven by operators, infrastructure providers, system integrators, and other technology companies that aims to reimagine the traditional approach to building and deploying telecoms network infrastructure.